Christmas eve tables looked elegant ...used tablecloths that night. Used the seven tablecloths on Christmas eve. Tables looked elegant and clean up was easy. Treated stains then put in washer and dryer.. they will be ready for our next large dinner. The table cloth was nicer than I thought it would be. I'm so glad I got it. We used these for Thanksgiving and they were just beautiful, then washed up nicely and are ready to use again. Lovely- just what I wanted. Looks wonderful on my table. Thank you so much for your great service and this wonderful tablecloth. I was so surprised at how nice it was at the inexpensive price tag. Everyone should have one. When I received this tablecloth, I ran it through a rinse cycle in the washer on delicate, through the dryer on low and put it on my table! No ironing, no wrinkles and perfect every time. This is not my first tablecloth from Drake. This last order was because I didn't order the correct size the first time and got tired of fighting to keep the navy blue undercloth totally covered. I ordered it in a larger size, and it is so elegant-looking! It really dresses up my dining room! I had looked at all of the medium-priced stores and then the higher-end stores. No one carried a pretty, delicate-looking lace tablecloth at a reasonable price. This one is all of that and more! Can't go wrong!! Stains, even tomato-based, if treated first, will come right out. Just a perfect tablelcoth! Used to protect dining room table, plus looks very elegant. My daughter likes to set a lovely table. She was thrilled with this tablecloth. I would definitely buy this tablecloth again, beautiful. Looks beautiful and elegant on dining table. Reasonably priced also. Looks so elegant on dining room table. Also used at my church banquet. Looks beautiful on tables. Looks expensive but very reasonably priced. 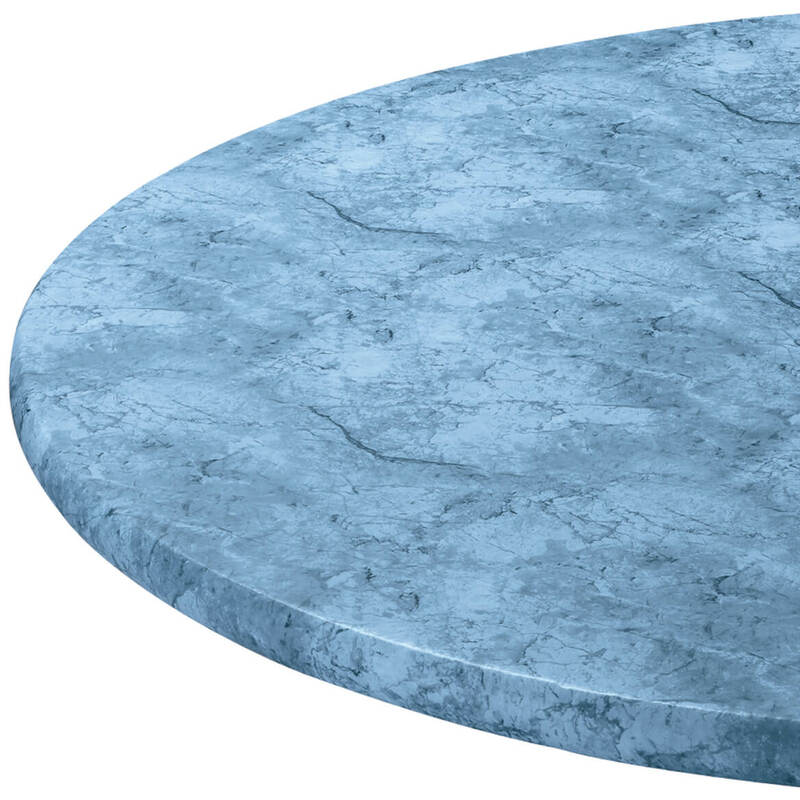 I use for dining room table, a cabinet in living room, and a round table in living rooms. Dining room and living room are offset. The three alike table cloths provide a pleasing picture and consistantcy. 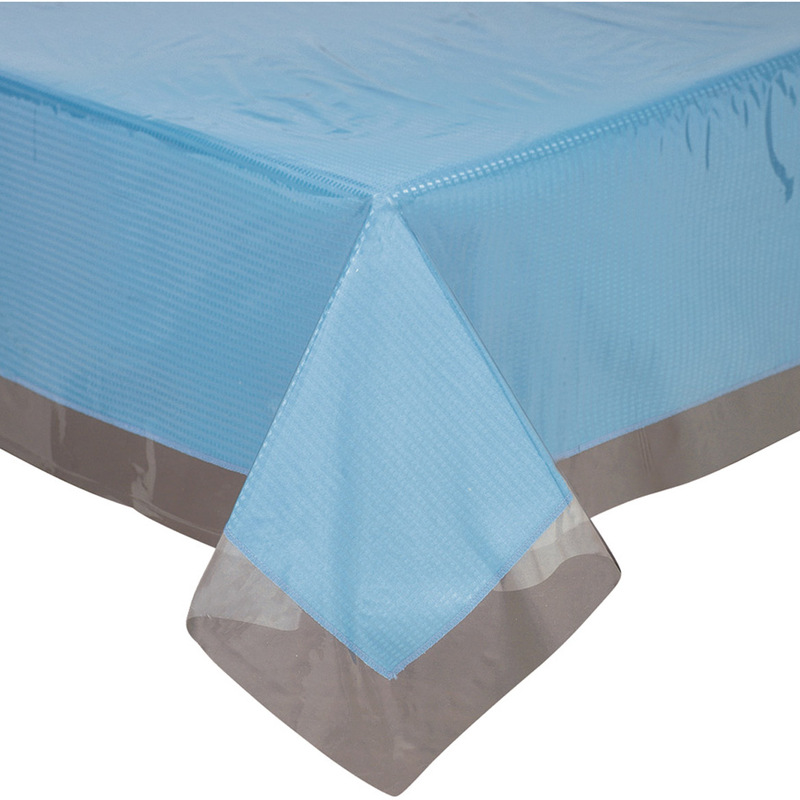 Table cloths are used alone and on top of colored table cloths. 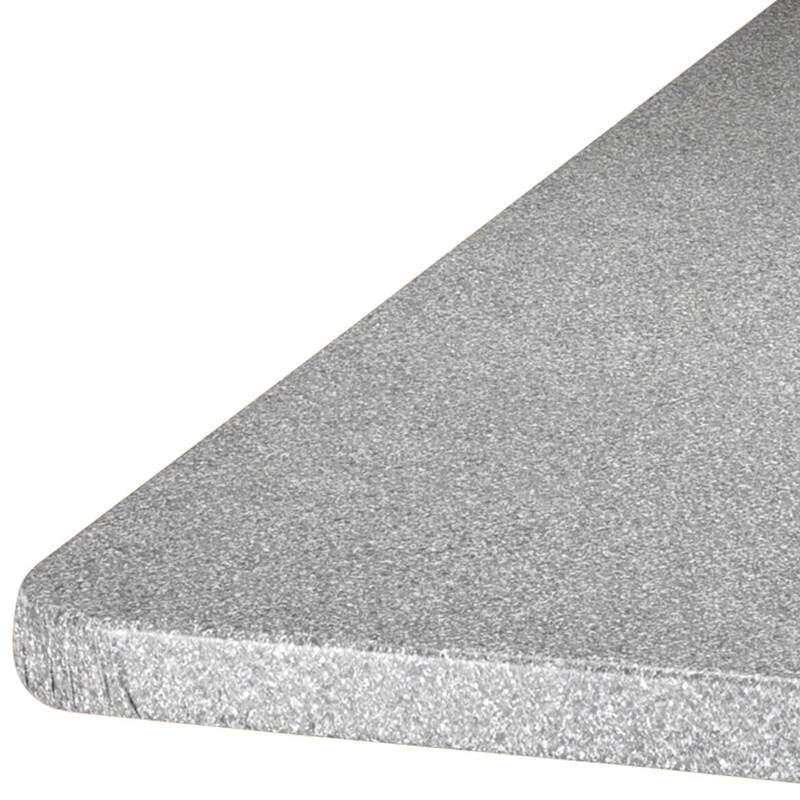 We ordered 30 of these tablecloths for serving funerals at our church. They are not holding their shape so therefore they sag and are not round after washing. Unfortunately we did not use them within the 45 day period for returns. Photos clearly show ravelled, ratty, unfinished edges. NO HEM. How can that be considered elegant? They were the only ones who had the exact item I wanted. We need a new table cloth and I like the price. Guest admired my use of this tablecloth. I like them and I was in a restaurant with the same kind of tablecloths. they were pretty. Need a new table topper; this looks perfect! It was a good price! 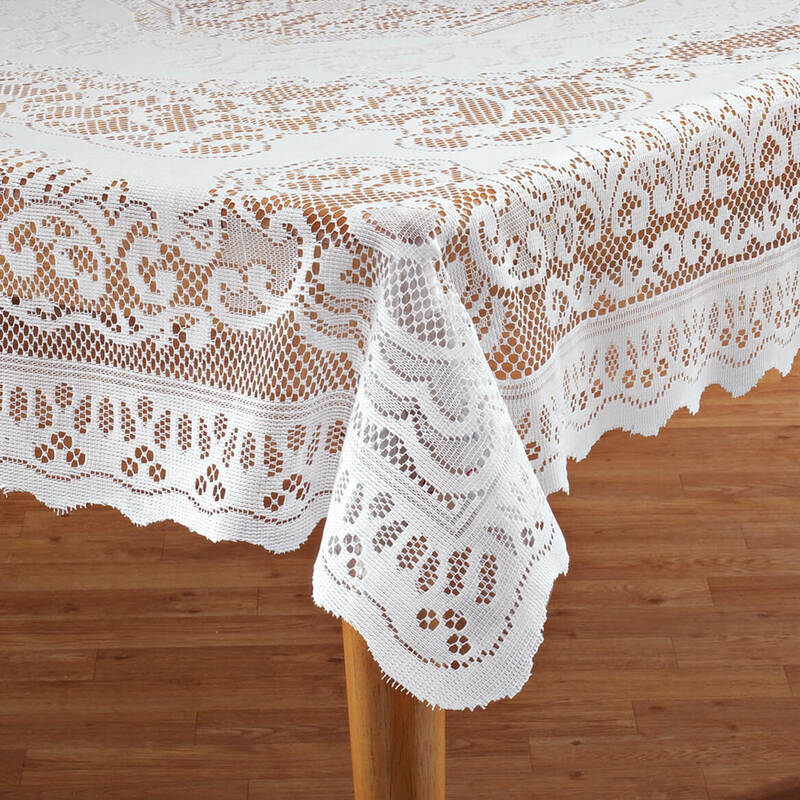 i needed a new tablecloth and love the lace look. "all my table clothes burned up in a wild fire that left me homeless. finally have a house now, and furniture, and now need some ancillary items." My mom who will be 86 in September, wants a new white tablecloth, no vinyl. Because it looks great and has good reviews. Already have one lace tablecloth from Walter Drake which is beautiful. After storing in trunk for about a yr., I did the at-home dry cleaning to remove wrinkles and it worked = so much easier than ironing. So decided I want to replace my cloth tablecloths that require ironing. 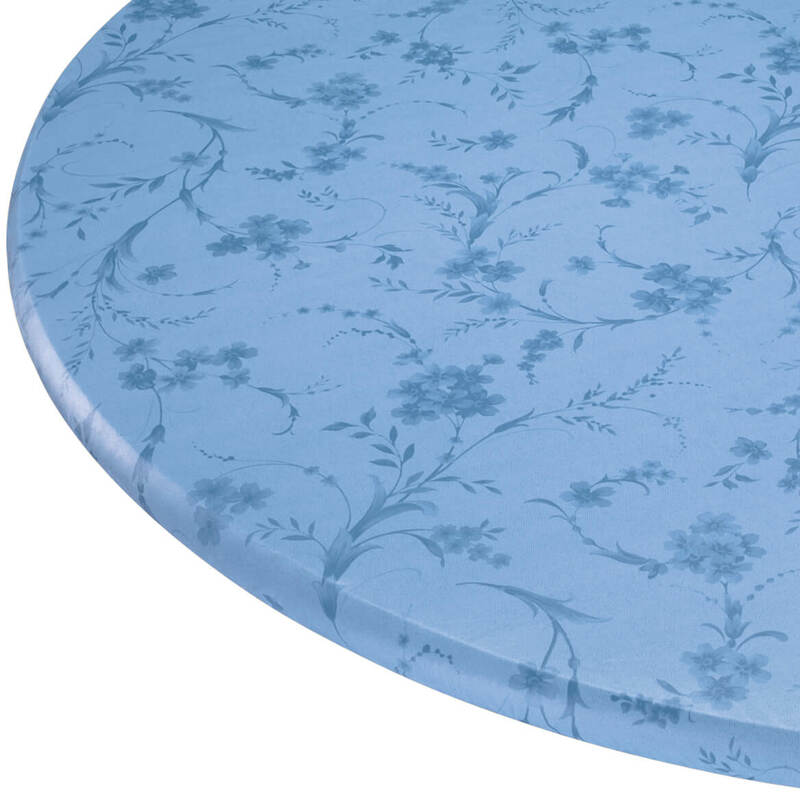 Although this one doesn't look as pretty as the rose lace, it would still be pretty and different, so I'll have several tables with different lace tablecloths. Like the looks of this table cloth. I have a new table & needed a larger table cloth than what I currently have. It's pretty and it's cloth, not plastic. I love this. great value. Needed a lace tablecover long enough. Wanted lace because I wanted something that I could put on a bright colored cover and it would show through. 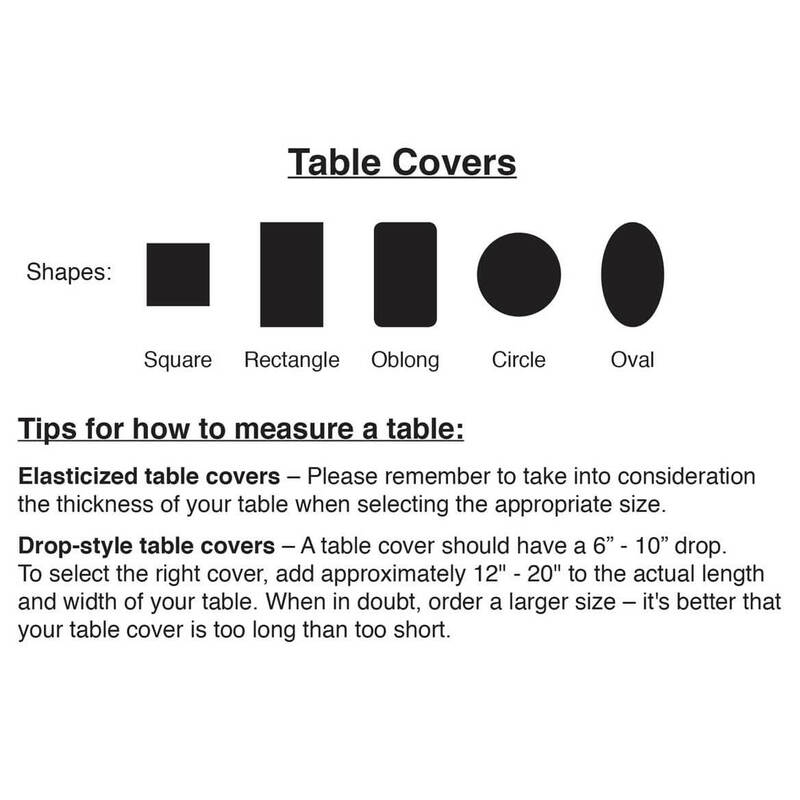 my oblong table is 39x60 what size table cloth is recommended? BEST ANSWER: I but one that is slightly larger than my table. Also since they are cotton they do tend to shrink when dried so try to avoid drying in a dryer. I would order one at least 12 inches wider and longer than the table measurements, giving a six inch drop all around. BEST ANSWER: Thank you for your question. 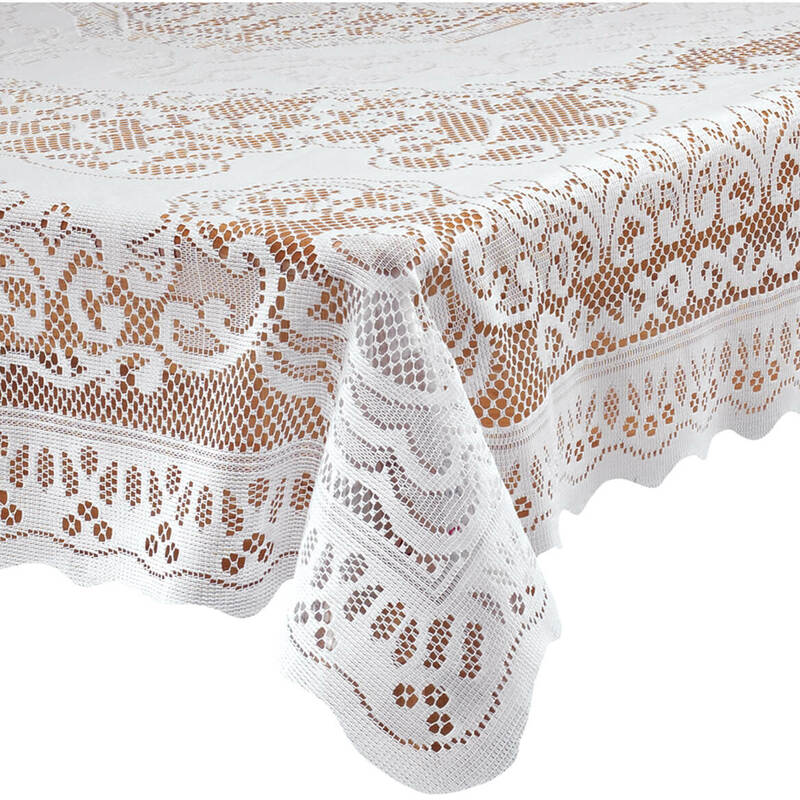 The lace table cover is in white only. We apologize for any inconvenience. 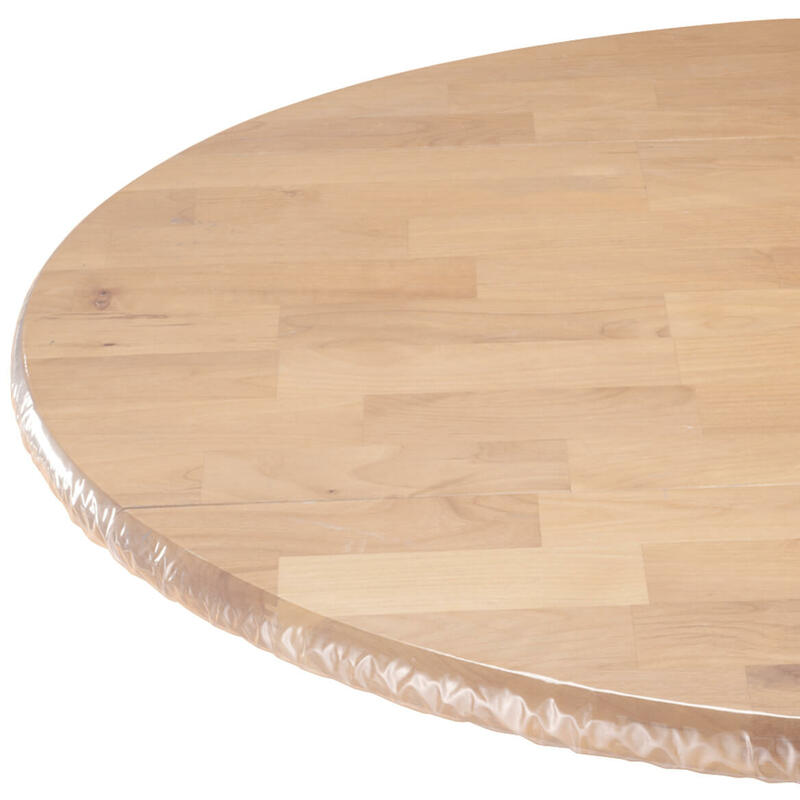 What size of tablecloth would be needed for a square 52 inch table to be floor length? BEST ANSWER: Thank you for your question. None of our offerings will fit your table. We hope this information will be of help to you.